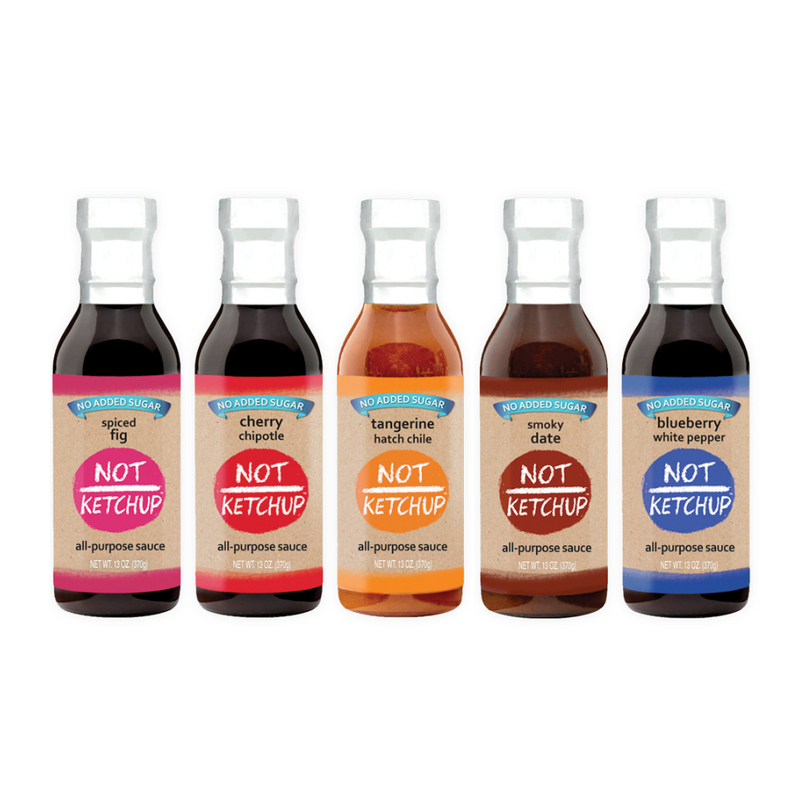 When I first created my Not Ketchup fruit ketchups, I really only thought about using them on meat. Burgers, steak, chicken, sausages, lamb chops, pork chops, ribs. Meaty meat. But after spending a lot of time at Santa Monica Seafood - the best retail seafood market, wholesale seafood distributor and seafood cafe in southern California, and an enthusiastic supporter of Not Ketchup from the very beginning - I realized that Cherry Chipotle Not Ketchup, with its perfectly balanced combination of sweet, salty, tangy, and slightly spicy, would pair well with rich, buttery salmon fillets. This recipe puts the salmon under the broiler, but you can do it on the grill as well. Just make sure you don't put the fish too close to the heat source - you want the Not Ketchup to caramelize and bubble without burning. 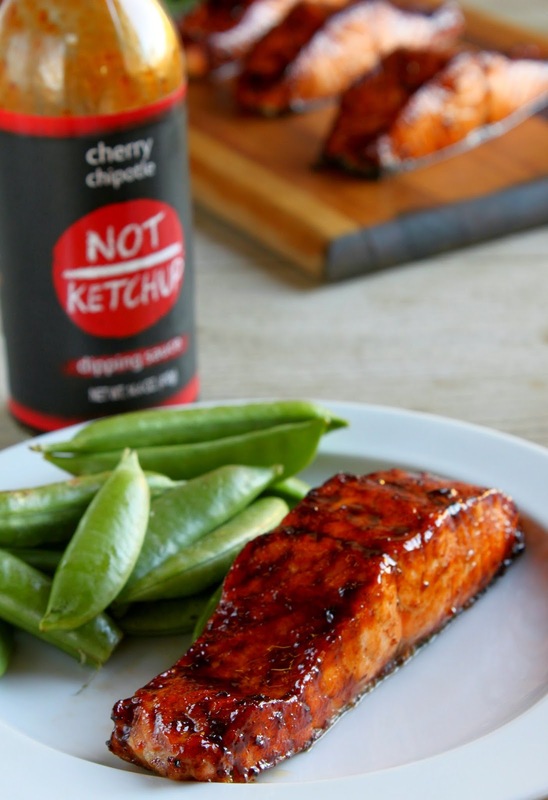 Cherry Chipotle Not Ketchup fruit ketchup sauce makes a sweet, tangy, slightly spicy glaze for oven-roasted salmon fillets. A delicious and easy gourmet dinner. Everything with chipotle tastes better. @Sippity great minds and all that!